Muscle Energy Techniques (MET's) – what are they, and how do they work with massage? Muscle Energy Techniques (MET’s) – what are they, and how do they work with massage? Myotherapists and Remedial Massage Therapists use a number of different techniques to treat your pain. From deep tissue massage to joint mobilisations, once we’ve got a working idea of the reasons behind your pain or discomfort, we will design the best treatment plan possible to get you better. One of the most effective techniques to help muscle and joint dysfunction is the Muscle Energy Technique (MET). What are Muscle Energy Techniques (MET)? Originating from osteopathic medicine, MET’s are described as “a class of soft tissue osteopathic (originally) manipulation methods that incorporate precisely directed and controlled, patient initiated, isometric and/or isotonic contractions, designed to improve musculoskeletal function and reduce pain.” Chaitow 2006. In simpler terms, the therapist uses the patient’s own strength to enhance the stretch of the muscle, by reducing the neural protection response to overstretching. It is done in a very controlled manner, taking the muscle affected into a mild stretch, which the patient then resists with a small contraction. This allows the nervous system to “reset” the normal length of the muscle, allowing for greater stretch each time. The technique can be repeated around three times in the treatment for optimal results. Here’s a great video showing Leon Chaitow in action. What can MET’s help treat? Muscle energy techniques can be used to lengthen a shortened, contractured or spasming muscle. They can help strengthen a physiologically weakened muscle or group of muscles, or they can be used to reduce localized swelling, to relieve passive congestion; and to mobilise a joint with restricted mobility (Greenman 2017). In a study done in Melbourne in 2003, MET’s were tested in respect to increasing the hamstring and knee flexibility. The results showed an immediate increase in hamstring flexibility, resulting in better knee range of motion in all patients of the experimental group, compared to no change from the control group. Would MET’s work for you? 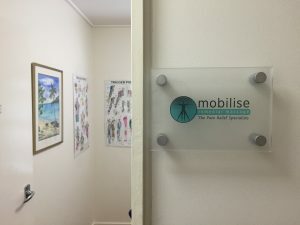 At Mobilise, both our Myotherapists and Remedial Massage Therapists may use MET’s within a treatment, in combination with massage and other advanced techniques such as joint mobilisation, to help reduce pain and treat the cause of the issue. If you would like to talk to one of our therapists about whether the use of MET’s may help you, especially with chronic pain and muscle tightness, please give us a call at our Toowong clinic on 0473 090 442, or book online today!